'PapaBears' is a beautifully furnished, four level, 1800 square foot private home located in the quiet neighborhood of Mountainside on the south side of the town of Frisco. 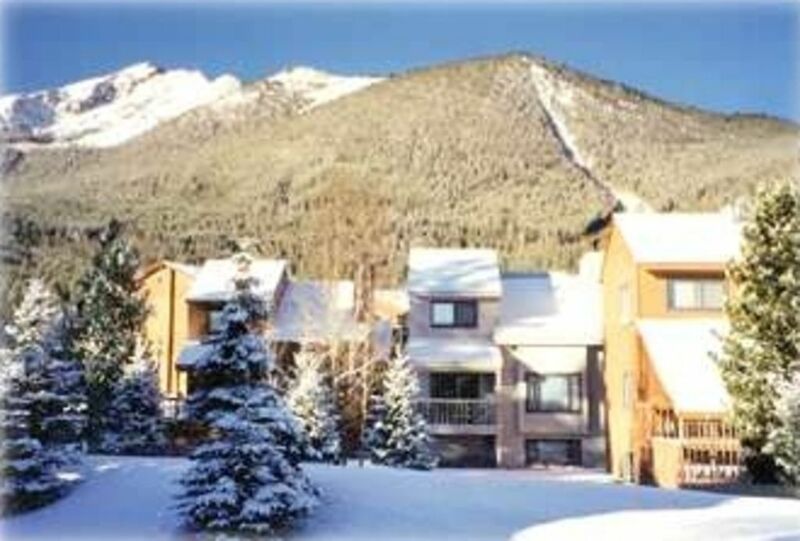 Access to Clubhouse with Pool, four Hot Tubs (three outside), Steam Room, Sauna, Racquetball Court, Outside Tennis Court, hiking trails,Nordic ski trails and the bike path to Copper Mountain, Vail, and Breckenridge. Free shuttle system from the town of Frisco to Copper Mountain, Keystone and Breckenridge. Just a few blocks to Frisco's Main Street - shops, restaurants, and events. Private fishing lake across the street (to the left, then to the right and up the hill) for kids aged 4 to 80 (no license required to fish in a private lake). Catch and release only. The Main Level at 'PapaBears' has vaulted ceilings, warm wood floors and wonderful views, TV, DVD (Blu Ray), Secure Wireless Internet, CD player (Bluetooth enabled) and phone,. There is a wood burning fireplace in the living room viewable from the dining area which seats up to 10, a fully-equipped kitchen with many extras all with great Rocky Mountain decor. The Master Bedroom is located on the upper level with a queen-size bed, full walk-in closet, TV, DVD, phone, full bath with oversized jetted tub, cozy quilts, mountain decor and wonderful views. The Mid Level Bedroom also has it's own full bath, queen-size bed, and cozy quilts with wonderful views too. The Den is located on the lower level and is equipped with a couch, love seat, TV/VCR/DVD, games, and books. There is a full bath located on this level, washer, dryer, and another bedroom. This bedroom has a double bed and a bunk bed (two singles). The bathtub in the master bath is jetted. Bluetooth enabled CD player on the Main floor. Frisco is central to Breckenridge, Copper Mountain & Keystone and near both Vail & Arapahoe Basin.